Convenient parking for Stage 773 is available at the following parking locations. Click on a location listed in the map below for more information about parking or to reserve a guaranteed parking spot. Stage 773 is a multi-complex theater that hosts events of all sizes—from low-budget black-box to the largest sketch comedy festival in the nation. The theater opened its doors in 2010, and has been offering the community a welcoming, nurturing, and collaborative theater experience. 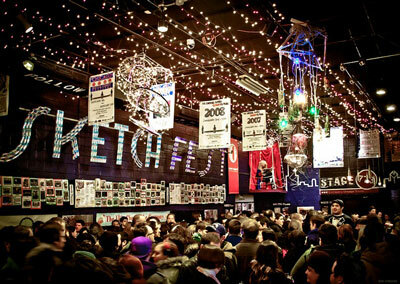 Each year, Stage 773 produces the Chicago Sketch Comedy Festival, the largest of its kind in the nation.